About a year ago, I donated a framed photograph to a charity raffle. After the raffle had been drawn, a lady approached me saying how much she liked the photograph and how disappointed she was that she hadn’t won it. She was so nice, I endeavoured to find out who she was which I did. I then framed another copy of the photo and sent it to her. You can see the photo that the lady liked so much here. We exchanged emails and I was made to promise that if I were ever to visit Iceland, I must get in touch. Visiting Iceland at the time was not something I had considered but I guess the seed was sown and when I finally decided to make the journey, I did get in touch. What followed were lots of suggestions of where to visit and several introductions to people, one of whom was a university friend who lived in Höfn. I was delighted when I, along with Poppy, Poppy’s BB and my friend Chris were invited to dinner with Hulda and her partner Róbert. We had a traditional Sunday roast, a meal that Hulda explained she’d enjoyed every Sunday since she was a child; roast lamb with rosemary, roast potatoes and vegetables. There was one additional condiment from the UK that Hulda explained she bought from a specialist shop in Reykjavik and who can argue with how well mint jelly goes with lamb. I was surprised how similar the meal was to the Sunday roast that I’d grown up with. We had a wonderful evening and it was such a pleasure to make new friends. During the course of the evening I asked Hulda where she would recommend we visit while we were in Höfn. Horn was the answer and these are the photographs that followed. It was a very wild day, the wind was roaring in our ears and bringing tears to our eyes but we had some sunshine as you can see along with some very heavy snow. Thank you Hulda and Róbert once again for a fabulous evening. This post is dedicated you. This entry was posted on April 7, 2015 by Chillbrook. 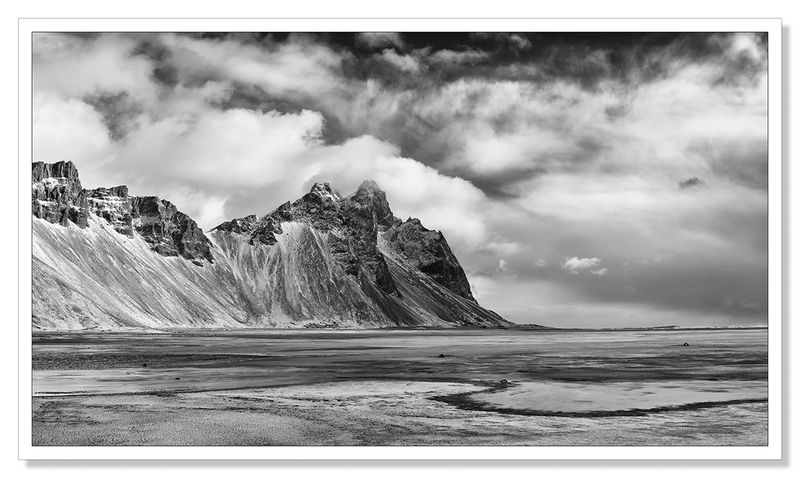 It was filed under Photography, Photography and Travel and was tagged with Adrian Theze, Black and White photography, Cornwall Photographic, Höfn, Horn, Iceland, Iceland in winter, Landscape, Landscape Photography, Nikkor 24-70mm f2.8G ED, Nikon D800e, Photography, Snow. It really is Gabi, thank you! Oh my Adrian…simply stunning photographs. The last one just stands out for me….spectacular. Thank you so much Edith. It is a very dramatic location. I was very pleased with the black and white. The conversion seemed to add to the drama somehow! Incredible photographs! Looks like your generosity paid off in being sent to such a scenic area! Thank you Paddington. Horn turned out to be a fabulous location. I am so not surprised the lady liked your photo and was disappointed at not winning the raffle! As for these pictures, there is none of the desolation of some previous ones from your trip, just beautiful beautiful landscape, expertly portrayed in the images. Love them. These photos are amazing! I particularly like the second one as the colours are really beautiful. I am debating getting a 24mm lens at the moment but I am only a beginner in photography, what do you think? Is it a lens you can’t do without? Thanks! Wonderful landscapes; very well photographed, Adrian. Thank you Sylvia. You just never know do you. It seems I was destined to visit Iceland and what tremedously rewarding visits they have been. Hulda and Róbert were such generous hosts. It was wonderful to meet them and to visit what is their favourite place. Wonderful photos of Horn and environs ChillB ! I remember how the light seemed to flicker on and off those mountains as immense clouds chased across the sky ! Hulda and Robert were such welcoming hosts … how lovely they shared one of their favourite places to visit with us .. Horn . We really might have missed out on this gem completely otherwise ! Thank you Poppy. It was a wonderful evening wasn’t it? Hulda and Róbert such welcoming hosts as you say and you’re right, we may well have missed out on these incredible views had we not been given such precise directions. This was where you took that superb picture of the ponies wasn’t it? A gift of a location for photographers. You are so lucky, with wild days and nice company. Magnificient photos! And that’s what networking is all about. Great story and great photos as well. What a surreal landscape!!! Love the colours and the tone not to mention the compositions! Just beautiful!!! Beautiful as always, Mr. Cornwall. Your photographs always make me so happy when they come across my Reader. My husband has family (by marriage) in Iceland, and it’s next on our list. Your photos make me so excited! What time of year was this? Terrific story Adrian – and you were paid back in spades with the recommendation – that last photo’s especially a stunner!! Dramatic photos, and such a lovely story! Local knowledge is always such a bonus. Wonderful photos as usual. The last one is my personal favorite of this set. Lovely images, and a nice story to go with them. You lovely story only goes to show that there is so much more to photography than taking photos. The social aspect of getting in touch with strangers and learning to know people all over the world is also part of it. A great post – both in words and photos. And, yes, the photos are of course excellent. You caught some wonderful light. They’re all marvelous, but I think the second is my favorite. I’m so glad you had such a memorable trip. Hi Marty, thank you. The Trebarwith Strand image was taken at first light so it was essentially still very dark and a much longer exposure time was required. 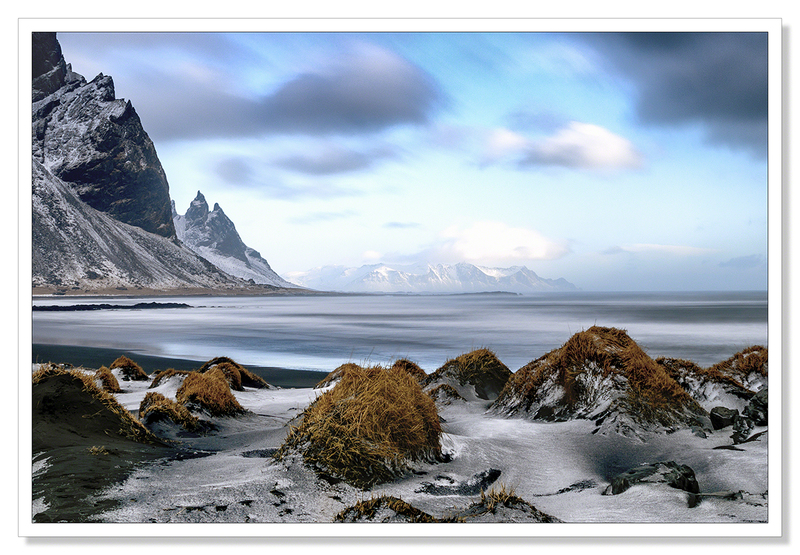 The long exposure taken at Horn was with a 10 stop ND filter but there was still a lot of light entering the camera. I hope that helps. Such gorgeous scenery and captures. The third photo is my favourite, although it was a hard choice. Your last b&w is very dramatic. Lovely story too. Wonderful story and a great recommendation from Hulda. Horn looks a stunning location … fantastic series of photos and amazing light. Hi Simon, sometimes you feel as though you’ve stepped back into pre-history when you’re in Iceland. This location was one of those, a fantasy landscape, drawn from somebody’s imagination. It’s no wonder that film crews are regular visitors. A well recommended location – it’s fabulous! I love the sense of wildness you’ve captured with these. Thank you very much Noeline. As I said to Simon, it’s like stepping back into pre-history at times. Wow! Every one a stunning wall hanger! Well done indeed. Thank you Lynn. This was definitely one of my favourite places and one I will return to. 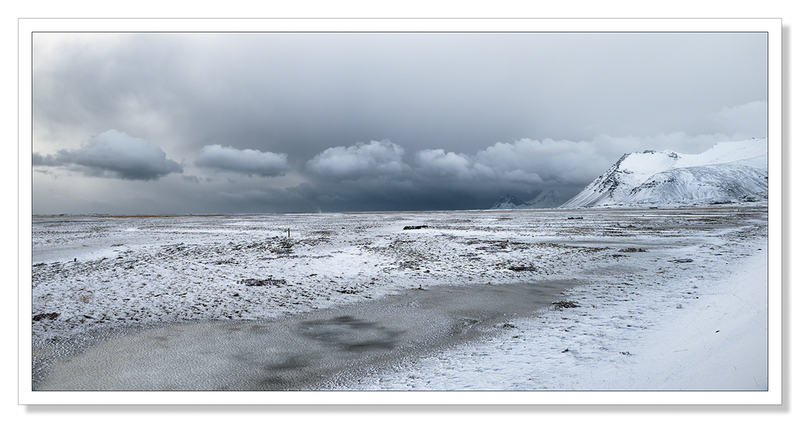 Subtle changes in light seems to bring about very big changes in the landscape! If only the whole world could get on this way – a lovely story. 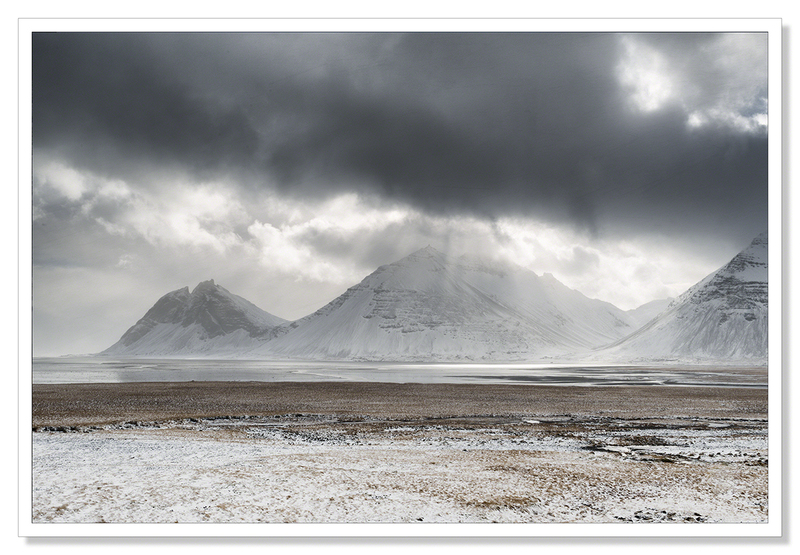 Your photos continue to be breathtaking and the second one in this series really caught my eye – perhaps because the foreground made the scale less intimidating.